On May 24, two birthday parties were being celebrated in the Bombay Bhel restaurant at Mississauga in Ontario. Suddenly, two men with their faces covered entered this popular restaurant and dropped an improvised explosive device. Soon after they fled the place there was a blast. A blast whose magnitude was felt more than four kilometres away. On May 24, two birthday parties were being celebrated in the Bombay Bhel restaurant at Mississauga in Ontario. Suddenly, two men with their faces covered entered this popular restaurant and dropped an improvised explosive device. Soon after they fled the place there was a blast. A blast whose magnitude was felt more than four kilometres away. In the entire incident, around 15 people were wounded including two dual Indian-Canadian nationals. A couple of months after the incident, the victims of the bomb blast have sued an Indian restaurant in Toronto. They have claimed that the bomb blast took place following a “turf war” between the business rivals. According to a report in CBC News, no arrest has been made so far in connection with the matter while the hunt to nab the culprits is still on. The report said that the six of the 15 victims have filed a civil lawsuit which seeks a total of Rs 32.18 crore from the owner of restaurants. They have sought the money for their severe and permanent injuries. They have also alleged the restaurant failed to provide the proper security as it was going through a turf war with its rival business associates. The Indian origin plaintiffs have claimed that they were in the wrong place at the wrong time. They added that it all resulted in them being a carnage in a rivalry that they were not even aware of. 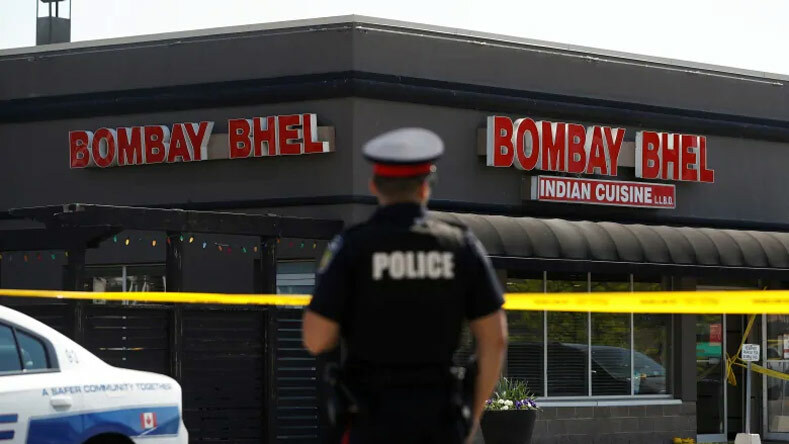 The report also quoted victims’ lawyer, Darryl Singer who said that the owners of Bombay Bhel restaurant knew or supposed to know that there was an issue with security and they are targeted. Meanwhile, each of the victims is seeking 1 million Canadian dollars from the restaurant owner. During the blast, around 40 people were inside the hotel and many of them were children under 10. Also, around six of the victims have been severely and permanently injured.